Since 1999 Fort Wood Hotels has been serving guests and our communities in and around the Fort Leonard Wood area with Award Winning Hotels. Great brands, great locations, and a never ending focus on improving operations define who we are. We are determined to continue investing in our hotels. We listen to our guest and respond to their needs. You will not find higher quality hotels at a better value in our area. We absolutely guarantee satisfaction. This is why our hotels consistently earn top awards. It all comes back to giving the guest what they want. When you stay at one of Fort Wood Hotels by Ehrhardt Properties, you will realize we take our mission very seriously! Staying for a day … a week … or a month? We’ve got you covered! 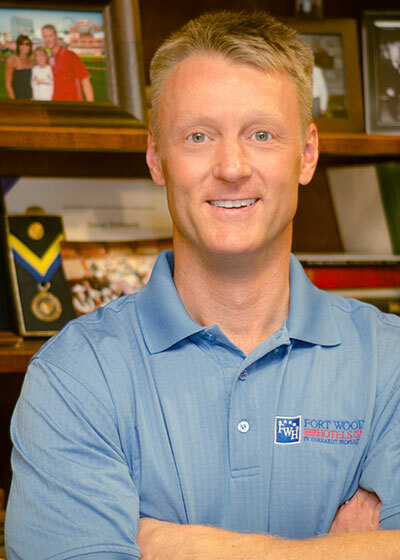 The team at Fort Wood Hotels believes strongly in giving back to our local community and to our military heroes. Fort Wood Hotels originally was established as Ehrhardt Properties by Spike and Steve Ehrhardt, a father-son company that epitomize success on a foundation of values, hard work, and treating employees fairly. In 1998 the Ehrhardt’s started their footprint at Fort Leonard Wood just as the Military Police and Chemical Schools started their moves from Fort McClellan, Alabama. 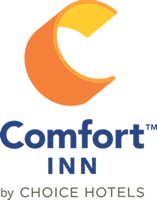 In February 1999, Fort Wood Hotels opened a 70 room Comfort Inn, which is a member of Choice Hotel family of brands. In addition to the most modern of amenities, this unique “Rustic Lodge” look property boasts a cozy two-story lobby with a stone fireplace. Since opening, the Comfort Inn has received the prestigious “Gold Award” 5 years’ times (Top 10%) and the prestigious Platinum Award (Top 5%) for two years. The hotel continues to strive for award winning quality, service, and cleanliness on a daily basis. In October 2000, Fort Wood Hotels opened its second hotel in St. Robert. The Hampton Inn is a member of the Hilton family of brands offering numerous membership perks that create a loyal following. Located next door to our Comfort Inn, this 79-room hotel and conference facility features a modern dècor. The Conference Center accommodates up to 150 people for meetings and banquets. The Hampton Inn has been honored as a “Lighthouse” property, ranking in the top 2% of all Hampton Inns. It has proven to be an excellent addition to our hotel family! Our Fairfield Inn by Marriot Hotel was purchased in March 2002. This 79-room property opened in the spring of 1998. It was the first new hotel in the area since the early 1990’s. The Fairfield Inn was completely remodeled in early 2015 and features spacious guestrooms, well-lit desks, and the most modern of amenities. Step inside and you will see a professional, clean appearance. Candlewood Suites, an Intercontinental Hotel Group hotel, is the fourth property in St. Robert/Fort Leonard Wood. It was the first extended stay property in the area featuring a complete kitchen in every one of its 74 rooms. Built to accommodate guests staying weeks at a time, this hotel also features a business center, free guest laundry, a fitness center, and the “Candlewood Cupboard”, a convenience store inside of the hotel! This Candlewood Suites has been an award winner every year since it opened including a Newcomer Award, and 7-time Torchbearer Award winner. This Hotel ranks in the top ten in its brand and stands high in the crowd. Our fifth hotel in the market opened July 2005. The MainStay Suites, a Choice Hotel brand, is an extended stay hotel with fully equipped kitchens in every one of its 77 rooms. This hotel also showcases an outdoor pool and breakfast. Operationally it started out with a bang as a Platinum Award winner in its 1st year and has continually held Platinum or Gold Awards every year. MainStay Suites also has won Hotel of the Year 4 years and runner up 5 years. Our Award winning property ranks #1 of all Mainstay’s. In December 2010, Steve purchased the Ramada Inn in Saint Robert and immediately began an improvement project for the property that included the demolition of a portion of the Ramada property and renovation of the remainder. In June 2010, the Liberty Lodge, our independently owned and operated hotel, with 66 guest rooms, opened for business. The Liberty Lodge serves our more budget conscious guests to our area. It offers free laundry, a Canteen (snack shop), discounts at Buffalo Wild Wings, and a “unique” patriotic, small town friendly place to stay. 66 rooms on Route 66! Rick Morris operates all six of our properties on a daily basis. Rick joined the company in April 2007 as our Director of Operations. He has a passion for serving and believes that by creating a great culture where teams are resourced, empowered and understand their roles in serving our guests, our teams and our communities that we will continue to be Award Winning Hotels. 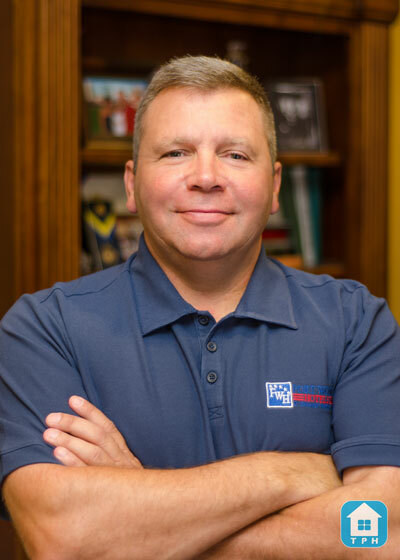 Rick served 23 years in the United States Army and retired as a Command Sergeant Major. His high energy, positive style of leadership will inspire you to reach high and achieve great things. He also believes that “If your Presence doesn’t make a difference-Your Absence probably won’t either”. Rick is a Certified Hotel Administrator (CHA) and he has completed his Bachelor of Arts Degree in General Studies from Columbia College. After traveling the world himself, he now helps our hotels serve our guests from all over the world. The hotels are located in the newest development along St. Robert Boulevard adjacent to Interstate 44. Restaurants and shopping are within walking distance and Fort Leonard Wood is only three short miles from our front doors. Many other factors contribute to our success. Great brands, great locations, and a never-ending focus on improving operations define who we are. We are determined to continue investing in our hotels. We listen to our guests and respond to their needs. You will not find higher quality hotels at a better value in our area. We absolutely guarantee satisfaction. This is why our hotels consistently earn top awards. It all comes back to giving the guest what they want. When you stay at one of Fort Wood Hotels by Ehrhardt Properties, you will realize we take our mission very seriously!